S. hat eine Hundeleine aus Paracord geflochten. Sie plant auch Ziegenhalfter zu machen. Auch I. will bald eine Hundeleine herstellen. S. made a paracord dog leash. She's planning on doing some head collars for the goats. 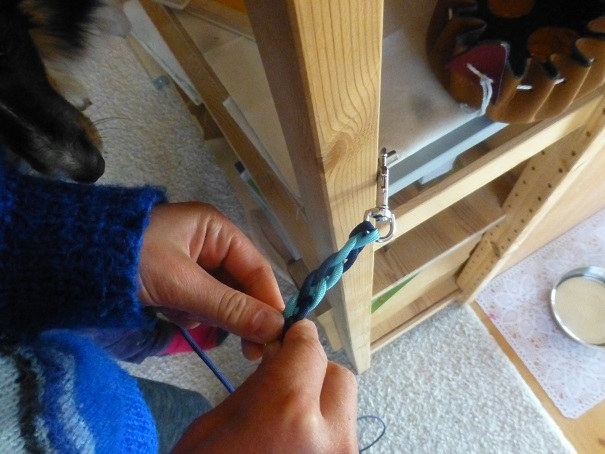 I. will soon make a dog leash, too.